The motherboard is the most vital piece of hardware in a computer. It distributes power, holds other computer parts, and authorizes communication to all computer hardware components. It also determines the kind of hardware you can put together for your PC’s build. In short, PC enthusiasts need to choose their motherboard wisely for their PC to last and open for future upgrades. Manufacturers produce a wide variety of motherboards in different shapes and sizes called computer-form-factor. Every model has a different capacity for expansion, connections, ports, and slots. 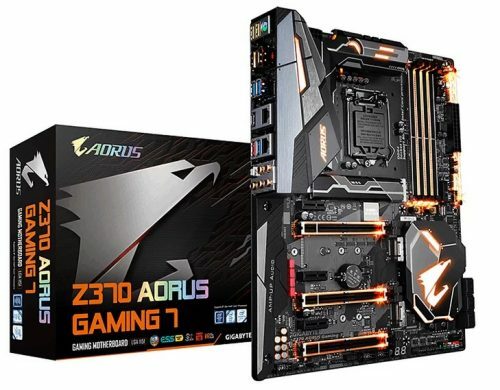 Z370 Aorus Gaming 7: It is currently the best Intel motherboard. Although it is a bit expensive, its capabilities as a motherboard are superb. It has anATX flashy design with A-1 over-clocking power. It has four RAM slots capable of holding up to a total of 64GB. It is SLI capable with a socket for LGA-1151 for 8th-gen processors.It’s an excellent pick for individuals with funds. Individuals can get this for $250 to $500. ASUS Rog Strix Z370-I Gaming: This motherboard is in Mini-ITX form factor with flashy looks and Wi-Fi antennas. It also supports 8th-gen Cofee-Lake processors. However, the lack of SLI and Multi-GPU support is depressing.Its price ranges between $180 and $200 in the market. MSI X370 Gaming Pro Carbon: This motherboard has a lot of features such as Mystic-Light, built-in water pump connector, and expansions for future upgrades. It is also in ATX form with SLI and Multi-GPU support. It is no doubt the best AMD motherboard around.Its price ranges from $130 to $160. MSI B250M Gaming Pro: It is in Micro-ATX form and is inexpensive. Although it has limited room for expansions, it supports Mystic-Light-Sync. Thoseindividuals planning for one-time-builds should pick this item.This board’s current pricing is $80 to $100. ASRock B250M Pro4: It is the best Micro-ATX Intel motherboard in the market. It has an on-board-video-support with 7.1 channel-surround capabilities. The four DDR4RAM is upgradable up to 64GB. However, it lacks future expansion for PCIe. Its reasonable price range is between $70 and $85. ASUS Prime A320M-K: It is currently the cheapest AMD-Motherboard with Micro-ITX form and Multi-GPU support added to boot. Although its limited expansion is depressing, it has the right slots to make a good PC build possible even with its limited expansion options. It can be yours for $50 to $65. 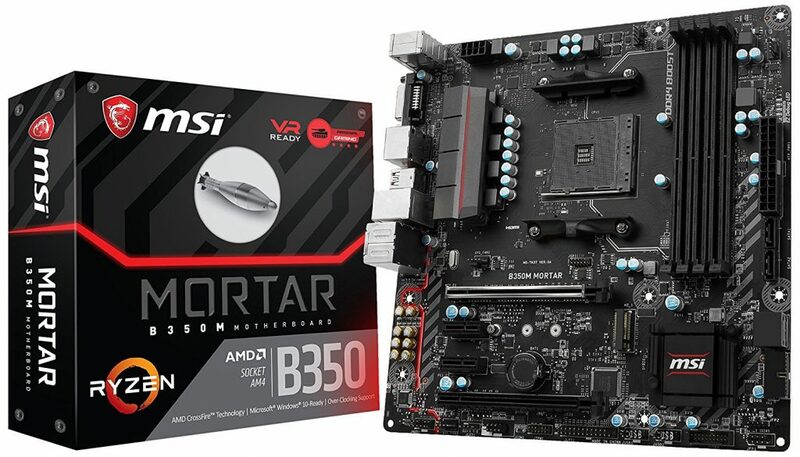 MSI B350 Tomahawk: It’s a budget board with great over-clocking power. It has high RAM capacity and speed to boot. It has options for water cooling and additional fan support. Its limited RGB lighting is negligible, but this is not for you if you love flashy motherboards. Lastly, it is VR ready and supports CrossFireX. It can be yours for $95 to $110. It may still be hard to choose a motherboard despite the selection above. Just take your time and avoid any hasty pick. Lastly, I wish you happy motherboard hunting.